Working with original features to retain the character of the room, we installed bespoke cabinetry which allowed us to maximise the space. 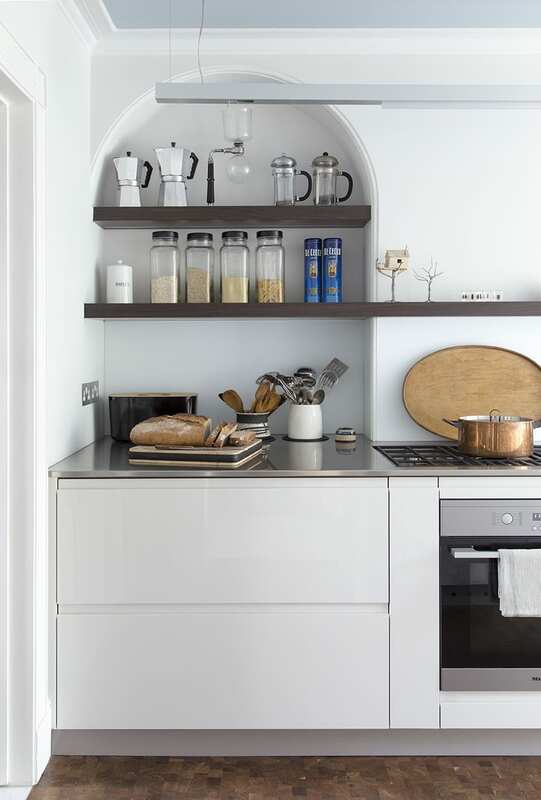 We supplied bespoke built-in shelving in a walnut veneer finish, providing a great contrast to the bright walls whilst cleverly highlighting the original arch. 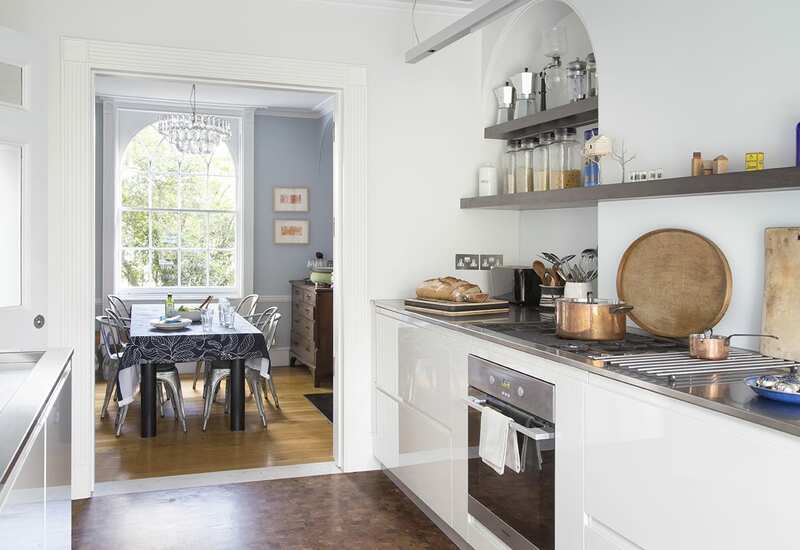 A stainless steel worktop incorporates a gas hob and a moulded sink, creating a sleek and subtle industrial feel. We used the full depth of the alcoves beside the chimney breast, accommodating for 600mm deep drawers as appose 500mm (our standard size). 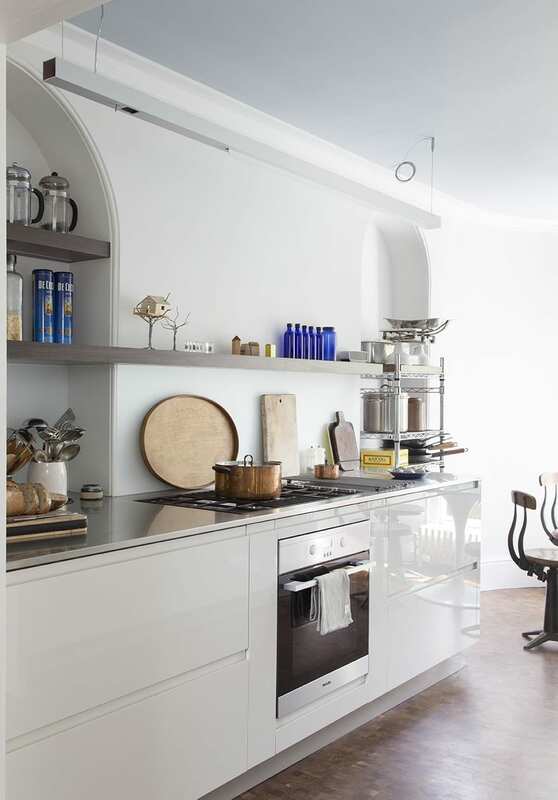 A built-in, custom-made wooden shelf provides additional storage with a personal touch, and highlights the arched alcoves. 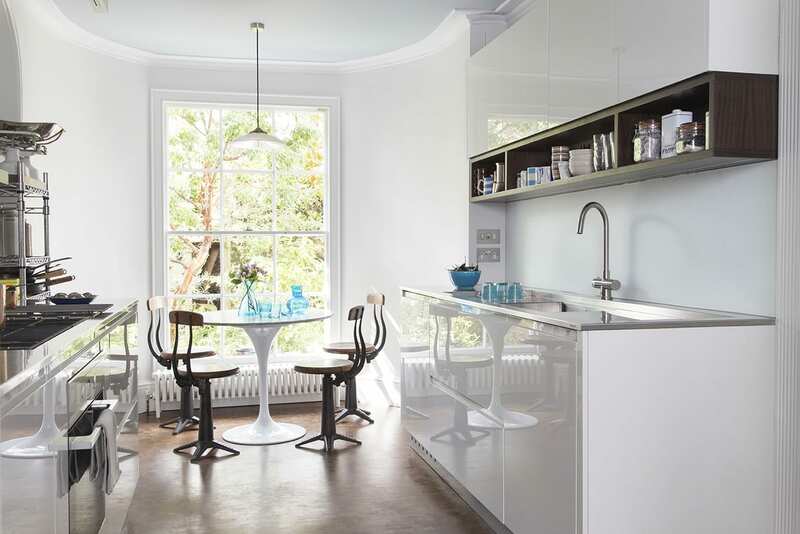 Bespoke cabinetry has been designed for this kitchen using highly reflective materials, bouncing light around the room. 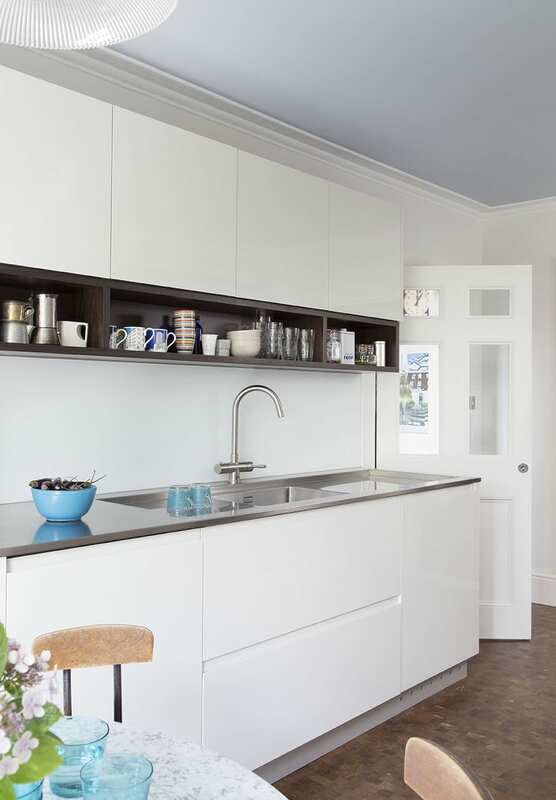 The stainless steel worktop incorporates a sink and gas hob, keeping the look minimal with a subtle industrial feel. 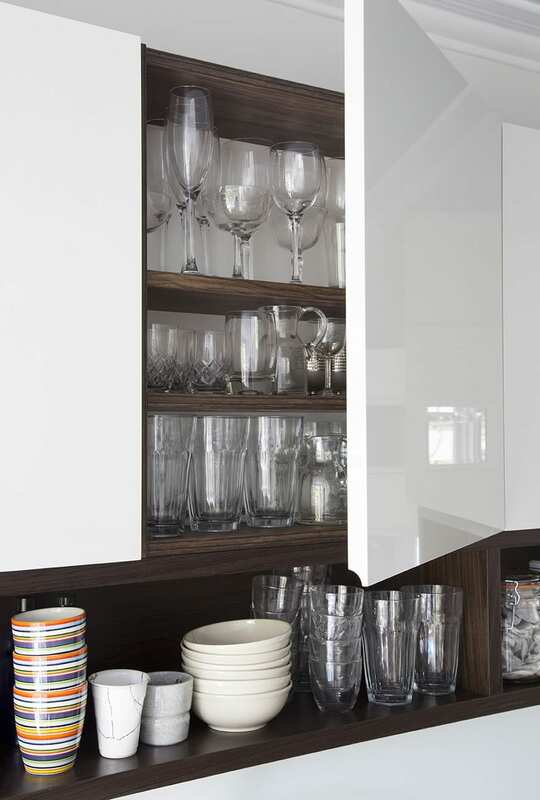 The cabinet doors and draws were made from Parapan acrylic in a light grey high gloss finish, keeping the entire look, fresh and bright. The large window becomes a crucial focal point flooding in tones of natural light.